“Hard work”, “determination” and “love” are the 3 main qualities that most define my career and life accomplishments to date. I was born in Aleppo, to a Syrian father (Eye Surgeon) and Spanish mother (Promising music star). At the age of 14 my parents decided to move to Madrid from Syria for various reasons. The main one is to provide us with better professional choices..
Moving to Madrid meant a new and fresh begining; during my teenage years I experienced disturbing moments that impacted me profoundly and those needed to be healed, but since I was too ashamed to talk about it and the fact that my language was very basic, I “forced” myself to to step up! and totally focused on my studies, I was also determined to pass my course to make my parents feel proud, and to also forget my past; I not only passed my first year in a foreign city but I even got nominated as one of the top students that year! and it was not because of my marks but because of my hard work. This is how I started learning about the power of focus and the results one can achieve when we put our minds into it. Over the years to come I also learnt other very important habits that helped me heal and move on; I learnt the importance of forgiveness, letting go and the fact that sometimes events happen “for” us and not “to” us… However what I didn’t know then is how during my healing process I had developped other qualities that influenced and impacted my personal and business life, in a negative way. My leadership career commenced at the age of 16 when my father would leave me to supervise his business during my school holidays in Madrid… I then started acquiring important leadership skills and most valuable experience on how to run businesses. I will always be grateful to my first mentor, my dad. After finishing university and having worked with world class organisations from Royalty, sports and entretainment, governmental bodies to TV, where I continued developing my leadership career, I decided to move to the UK alone and without speaking the language… a new set of challenges arose. That was more than 14 years ago… 14 incredible years where the past 11 were spent in London launching and developing business units; leading large teams and managing big operations; delivering high level training; coaching and mentoring leaders. My first big leadership breakthrough in the UK was when I was appointed the Head of Operations of a small boutique service based firm. I had full responsibility of all our clients, onsite managers and their teams. I served this organisation for a number of years until I was invite to set up a division within a company and my work impacted hundreds of employees. I got reminded of a very important lesson, in order to succeed “Hard work” was not enough, it also required “impact” and “visibility”. Moving to the Global Headquarters of an important bank as their Head of client services was an important milestone in my career, I had more than 100 staff and several departments to run. The department had a lot of international attention, people coming from different parts of the world to meet my team and learn how we run our operation. We had the influence of impacting standards globally. Wanting my parents to be proud was still a driver and I was determined to succeed, they had sacrificed so much for my siblings and I, that I felt it was my turn to make their decision of moving countries worthwhile. Having said that, I had never reflected on what true success really meant. Wanting my parents’ approval supported me tremendously in achieving many goals, until I realised that I also needed to make myself feel proud and fulfilled being mindful of the influences that societies, cultures and people had on me. in a world where so many women have no control over their destinies this life is a gift, what i DO WITH THIS GIFT is what matters. In my opinion life biggest force that pushes us to “be” and “do” beyond belief, but it has to consciously start from us, the way we speak, treat and address others is a reflection on how we speak treat and address ourselves. how can we otherwise love others and love what we do if we don’t acknowledge it to us first? Although I hold a degree in literature my “love” has been working with people which is how I dedicated my life for more than 20 years of international experience in the private, public and corporate sectors. A few years ago I decided to leave team leadership and found a new vocation, supporting women up-skill their leadership qualities so together we can have the voice and confidence to raise consciousness in the world. I have spoken internationally on the topics of feminine Leadership, team engagement, overcoming challenges and the power of the mind; I was lucky to also speak at the prestigious TEDx platform. 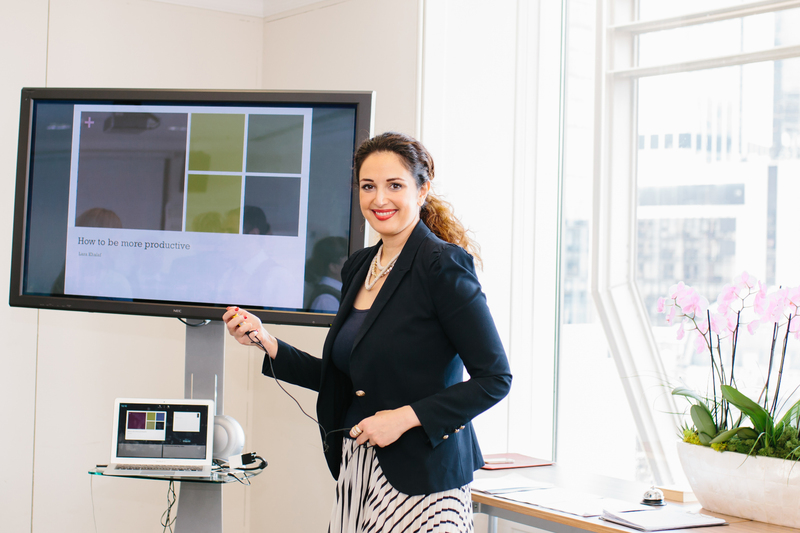 Recently I became a coach partner with my favourite magazine, Psychologies. I am so excited! Alongside two other extraordinary women leaders, we founded WOMAN 5.0, a platform to support women raise consciousness through bringing more Peace, Beauty and Possibility to their lives. There is another business I am a non-executive board member for, the aim is for it to be ground-breaking; once up and running I shall tell you more about it. I have featured in one book and in a documentary for PBS TV in the USA about inspirational women to be released in 2019. As part of the documentary, I also contributed to another book which will be published by Waterside, a top American editorial. One frequent question I get asked is “why women empowerment? Men need support too!” and I totally agree. I think this is the right time for women to rise and in my opinion the core work of this movement is not to promote female superiority, it’s about supporting and teaching women to take over their “inner” world first; it’s also an invitation for women to connect to their feminine energy with grace, joy, acceptance and total confidence. One of my hopes is that more women rise into their infinite leadership, wisdom and power, to live and lead from their purest and highest self, feeling truthful to their mission and purpose, and thus impacting people, businesses and societies in a conscious way. My wish for when my time to retire from life on this physical dimension comes is to look back and say, “that was one extraordinary life I had”. I am incredibly fortunate to be able to support already extraordinary and successful women to discover, define and develop their feminine leadership style. This is it for now… one more thing… I sincerely cannot wait to work with you..
Be aware that after the coaching sessions with Lara, you will be in a different place that you were before. She gave me another perspective about what I was thinking and made me feel more confident about the direction I had in mind. Lara has a knack for of being able to deliver the most demanding requests with ease and simplicity. 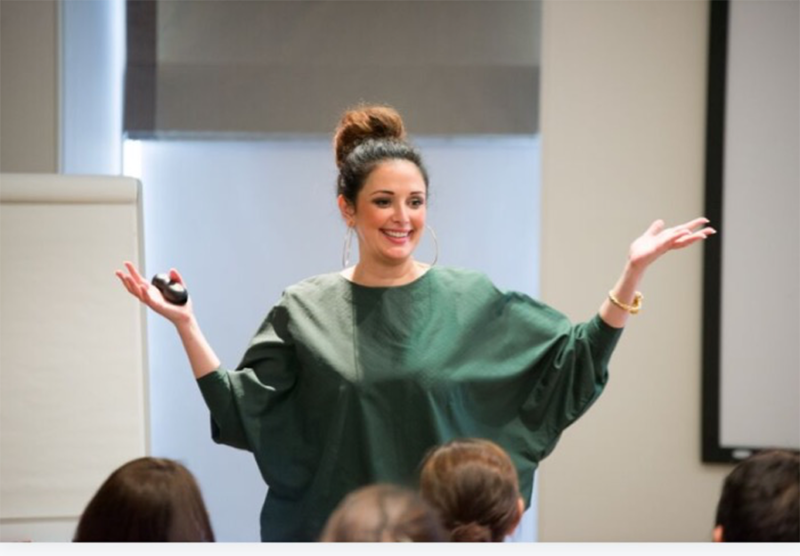 Sign up now for exclusive access to my '9 Pillars of extraordinary Leadership' e-course, commencing 1st of March 2019. Supporting women in business become more confident, successful and conscious leaders.